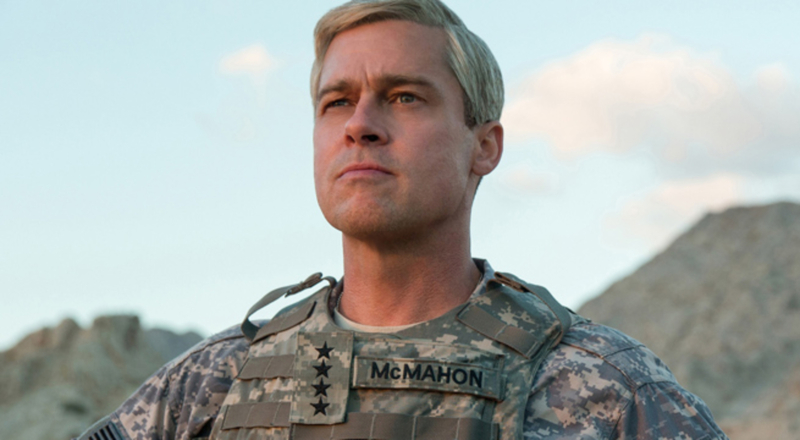 Brad Pitt turns 53, and in an interview with AP the actor bares his heart out about playing General McMahon in the forthcoming Netflix original movie, War Machine, The character is loosely based upon real-life General Stanley McChrystal and is also inspired by on an original 2010 Rolling Stone tale by the late journalist Michael Hastings. The actor who is a father of six kids and recently became single was forthcoming about his struggles with alcoholism and depression. Pitt it seems was emotionally fraught playing the role of the General whose life was also much akin to the actor, rising to meteoric heights before the fall. Brad Pitt and Gen. Stanley McChrystal is the inspiration of the four stars Afghanistan commander in the forthcoming Netflix war comedy “War Machine.” Brad plays the character with finesse as a hard-charging lifetime military man but with a swollen ego which proves to be his nemesis. In a candid interview with AP, for a first time since his split with Angelina Jolie-Pitt, Brad talked freely about his struggles with alcohol and the separation of his family. Pitt discussed a broad range of issues from his alarm at the possibility of the war in Afghanistan getting more intense to his present state of mind. It is a period of transition from a family to being single, and Brad is figuring it out about how his future family will look like. Kids are everything, and his focus will always be on their welfare. Pitt discussed “War Machine” and his thoughts behind doing the film. Written and directed by the “Animal Kingdom” fame Australian filmmaker David Michod, the flick is based on Michael Hastings’ 2012 book “The Operators.” The book details the brief but turbulent stint of McChrystal in Afghanistan. The flick is scheduled to debut on Netflix on May 26th. It accurately depicts the American Military which is influenced by politics, delusion and personal ambitions. Pitt portrays the role of a general who comes into Afghanistan with a bizarre vision of opulence and departs amid self-inflicted scandal.